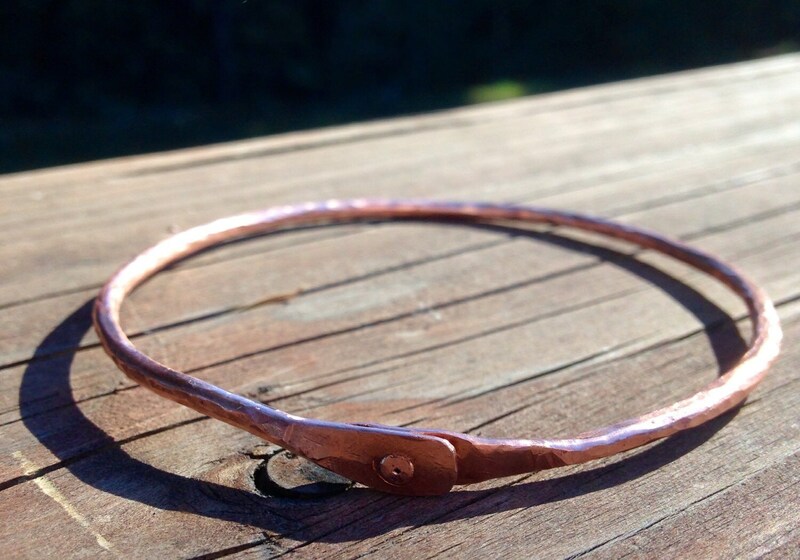 From bare 10 gauge copper wire, I forged, hand textured and shaped this lovely and simple bangle. 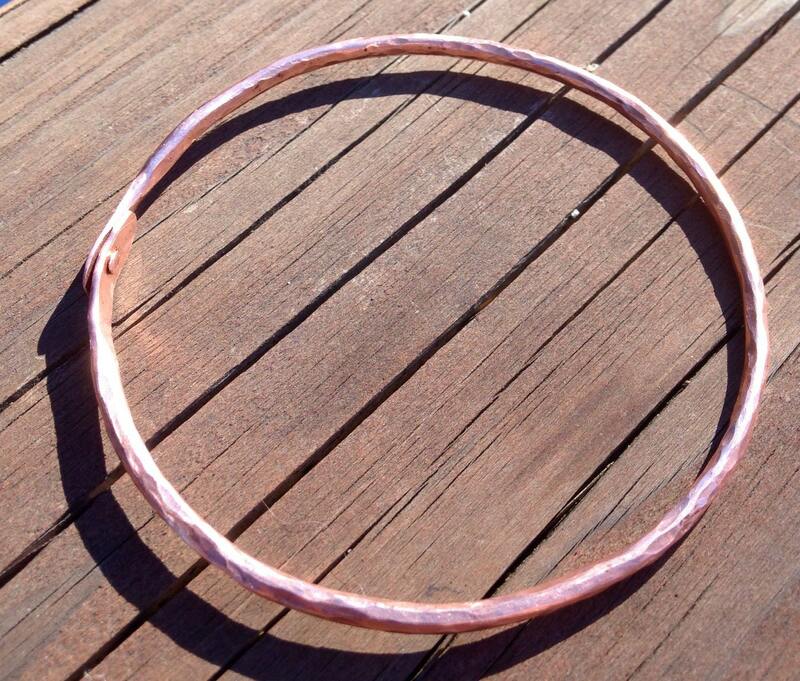 Created to fit a larger hand and measures 2 3/4" in diameter. With this style, many variations are available. Different sizes, of course. Charms. Color. Sky's the limit, baby!